Shutdown duration: It's gonna last another week at least. 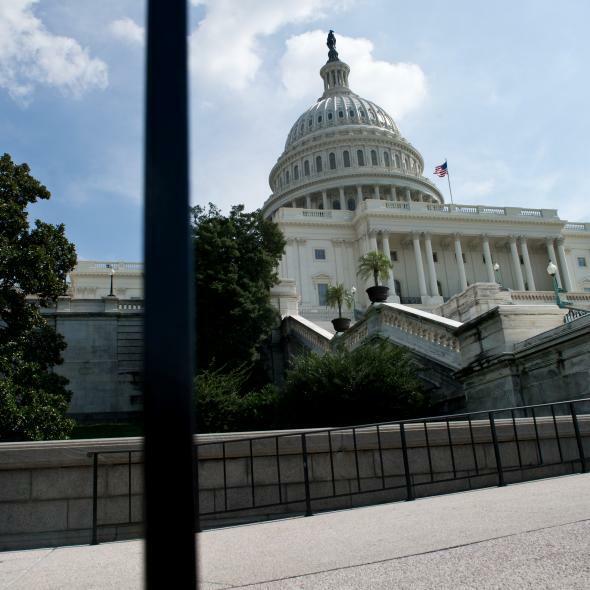 The US Capitol is seen in Washington on October 5, 2013, the fifth day of the government shutdown. What you have to add to this is the interplay between the shutdown and the debt ceiling. There are two different issues that Republicans need to give in on. First, they need to stop holding the functioning of the government hostage to their desire to repeal the Affordable Care Act, and second, they need to stop holding the functioning of the American legal and financial system hostage to their desire to repeal the Affordable Care Act. John Boehner would presumably like to do this all at once—like taking off a Band-Aid—rather than reopen the government on Tuesday only to have a debt ceiling showdown four days later. But that means the government has to stay shut down all the way until the chaotic 11th hour of the debt ceiling, which is still almost two weeks off. That means at least another week of stalling and posturing on the shutdown while various people lose access to important services.